The “poppy seed defense” or the claim that eating poppy seeds is the reason for a failed drug test has long been used to challenge results. Research published in the Journal of Analytical Toxicology compared the impact of the consumption of raw poppy seeds and a poppy containing food product on urine and oral fluid drug tests. 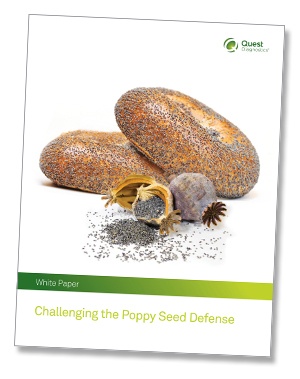 Ultimately, our experts sought to answer the question: can eating poppy seeds produce a positive drug test for a job applicant or employee?